1. 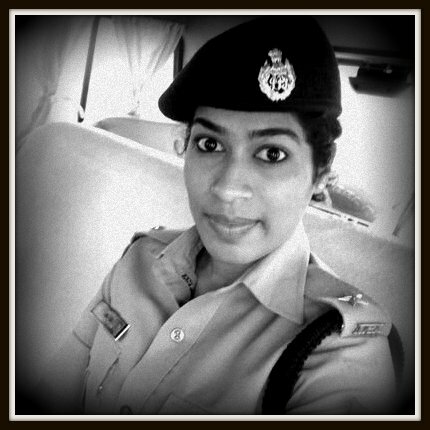 Charu Nigam is a young IPS officer under training now, and was acting as circle officer in the area where protestors led by local BJP MLA Radha Mohan Das Aggarwal moved to protest against running of a liquor shop. It was the Kareemnagar area of Gorakhpur city, located in East UP. 2. MLA reportedly had a heated argument as the IPS officer evicted protesters and took some “tough” measures. 3. The officer who was seen wiping tears in front of TV crews later told media that the MLA misbehaved with her. 4. The MLA denied the allegation, clarifying that he was talking to her senior only. He accused the IPS officer of being harsh towards the protesters. 5. Protesters were evacuated from the road because they they were obstructing the local traffic. When the MLA reached the spot he found the protestors were virtually missing, making him angry with the officer. 6. 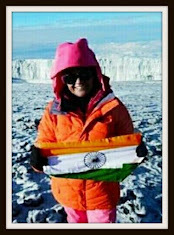 Her senior, city SP Ganesh Saha reached the site, but only later. Ms Nigam later said, she got emotional when her senior supported her in one go, adding that she did not weep because of the behavior of the MLA. “It (reducing into tears) is not ingrained in my personality”, she later wrote in a social media post. 8. In her Facebook site, she wrote on Monday that she was fine and was only slightly hurt, adding that her police training did not teach her to be weak. 9. "Meri aansuon ko meri kamzori na samajhna. Kathorta se nahi, komalta se ashk jhalak gaye”— she wrote. 10. Ms Nigam is quite active in the newly formed anti-Romeo squad’s Gorakhpur area. She is nicknamed by some as ‘Lady Singham’ after Ajay Devgn starred popular Bollywood film. Facing reality of Indian society and Politicians of Uttar Pradesh? Welcome to Gorakhpur and Uttar Pradesh! Ms Nigam wears the coveted titles of IPS on her uniform. She commands n leads police personnel by the rank she holds on her shoulders. She is not into a diplomatic assignment or policy formulation service. Rather, she is member of a uniformed service where she is required to face much more tougher situations under far more strenous n unpredictable factors. Not only will she b dealing with hardened criminals, white collar mega masterminds and violent crowds but wud also get to head operational assignments with BSF/ CRPF/ ITBP etc. One must remember that public composure of a uniformed officer is under far greater public scrutiny than compatriots in other civil services n every action of a police officer is scrutinised far more closely than anyone else. Hence, my advice to Ms nigam wud b to never show loss of composure, even momentarily, n not let emotions become public while discharging official duties. The media, public,political class n habitual offenderrs shud get to view a young IPS officer only as straight, tough, no nonsense implementor of rule of law.unfortunately, the media portrayed the image of a lady officer requiring collective empathy, which I feel shud not have ever happened. VAGARIES OF INDIAN POLICE SERVICE. THE AGGRIEVED OFFICER HAS THE OPTION TO GO ON CENTRAL DEPUTATION TO agencies like CBI,IB, NIA etcetc.